FHA Loans Kansas City is a mortgage insured by the Federal Housing Administration (FHA). 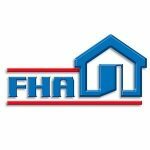 FHA loans are designed for low to moderate income borrowers who are unable to make a large down payment. FHA loans have been helping people buy homes, whether the first or the fourth, since 1934. FHA loans allow the borrower to borrow up to 96.5% of the value of the home. The 3.5% down payment requirement can come from a gift or a grant, which makes FHA loans popular with first-time buyers. Metropolitan Mortgage offers FHA loans as 30-year and 15-year fixed rate options. Both options offer the same interest rate stability, but the shorter the term the higher the monthly payments, giving you a faster way to build up home equity. You can use this higher equity as a down payment when you move to your next home. An FHA adjustable rate mortgage (ARM) lets homeowners pay a low introductory interest rate for the first few years. These type of loans are best for shorter terms of ownership. Have Questions? Contact Us for FHA Loans Kansas City or online or call 913.642.8300.